ORANJESTAD, WILLEMSTAD – With 274 votes in Curacao and 112 votes in Aruba, the VVD became the largest party on these islands. In St. Maarten D66 scored 42 votes. At 3:00pm local time the voting boots were closed at the Dutch representation offices on three islands. There was a large turnout of voters on Aruba, just like in the Netherlands. A total 487 Dutch citizens voted. In 2012 there were 320, of which 315 were valid. D66 was the second largest party in Aruba with 101 votes. The CDA and GroenLinks both received 61 votes and PVV 44. 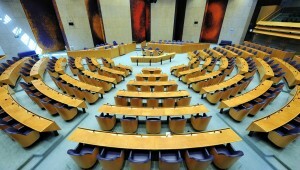 The PvdA accumulated no more than 24 votes. No blank or invalid votes were counted in Aruba. There were 167 ballots distributed on St. Maarten. A total 151 voters ultimately casted their vote. In 2012, there were 123. After the VVD, D66 accumulated the most votes on St. Maarten with 31, followed by the GroenLinks (21) and PvdA (18). The other parties all received less than 10 votes. Also in Curacao there were many VVD voters. VVD received 274 votes. D66 follows with 204 votes, followed by 80 votes for CDA, 75 for PvdA and 68 votes for PVV. There were 920 ballots submitted in Curaçao, 901 voters voted validly. Dutch passport holders in the Caribbean Netherlands have the right to vote in the parliamentary elections only if they have lived a decade or more in the Netherlands.